June 6th was the 70th anniversary of D-Day in Normandy, France. 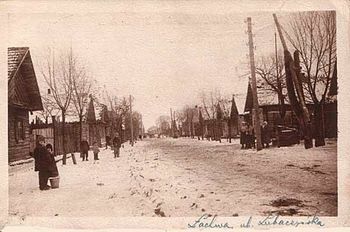 By July 1944, the Allies were heading into Poland and the Soviet army was the first to liberate Lublin/Majdanek, a concentration camp in central Poland. D-Day and the months following were historic for those who had come under Nazi occupation. The history of World War II is still etched in our elders’ memory. For some, being a survivor of the Holocaust is still as much of a challenge today as it was in 1944. In some places in Eastern Europe not much has changed in 70 years and life is a constant challenge. The Survivor Mitzvah Project is dedicated to providing direct and continuous financial aid to those elderly and forgotten Jewish Holocaust Survivors scattered throughout Eastern Europe who are sick, impoverished, isolated and receive no direct financial aid from any other agency. Their families and communities destroyed by the Nazis, they struggle to survive in their few remaining years, lacking the means to buy even the most basic of human necessities: food, medicine, heat and shelter. Most live alone in harsh conditions. Our project, by bringing help quickly and directly to these survivors, helps ensure that they may live out their last years with some measure of comfort, support and dignity. 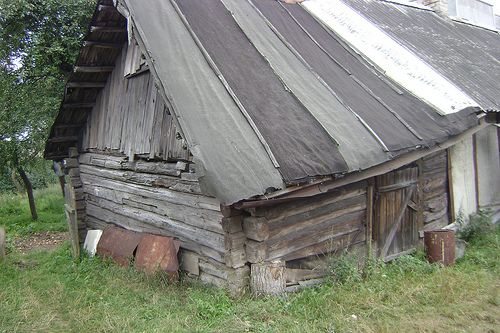 From Wikipedia, an image of a shtetl. The Survivor Mitzvah project was started after Zane Buzby took a “roots” trip into Eastern Europe. She went to find where her grandparents lived and that was the beginning. On that trip, she was in touch with a professor at Vilnius University in Lithuania, Dr. Dovid Katz. He was taking trips around the region to find the last remaining Shtetl Jews. (Shtetl is the Yiddish word for small towns in Central and Eastern Europe with large Jewish populations). Dr. Katz was learning their Yiddish dialects and documenting their life stories, as well as bringing them aid because many of them were impoverished. Many of these survivors were living in isolated, small villages, where sometimes the modern world had not touched them. Instead of cars, many still had a horse and buggy. Dr. Katz encouraged Buzby to stop and visit the survivors, and when she did her life changed. The war has been over for seventy years, but some of these survivors are still living a nightmare of a life. They might have a roof over their heads, but food can be scarce. Their dwelling might not be heated, and medical attention, be it actual doctor’s visits or just medicine, is virtually non-existent. This is where the Survivor Mitvah Project comes into play. We cannot make history go away, and we should not because if we become complacent it could happen again. We cannot change what has happened but we can make these suvivors lives a little more comfortable and let them know that they are not forgotten.